On the Threshold of the First Century! 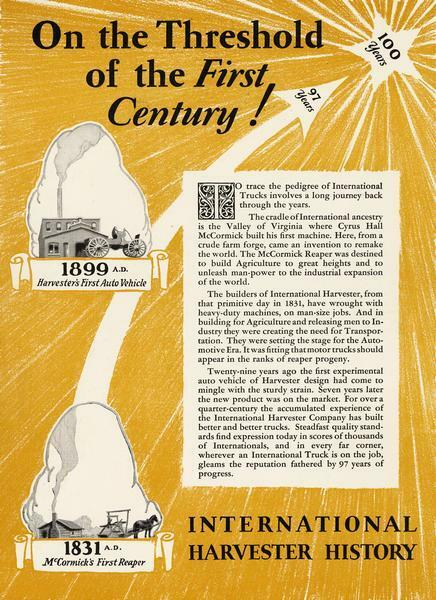 Advertisement celebrating 100 years of International Harvester history. Features inset drawings of McCormick's first reaper in 1831 and "Harvester's first auto vehicle" in 1899. Includes text describing International Harvester's innovations.